UPDATED: Thu., Feb. 7, 2019, 7:42 p.m.
U.S. Rep. Cathy McMorris Rodgers says she’s seeking middle ground with new federal legislation intended to address consumer fears following the repeal of “net neutrality” rules. The bill was introduced Thursday on Capitol Hill during a committee hearing chaired by Democrats and that focused on the Federal Communication Commission’s decision more than a year ago to deregulate internet service providers. McMorris Rodgers says her bill hews closely to state-level legislation passed with bipartisan support in Washington state last year that would prohibit practices that are most concerning to net neutrality advocates, including the intentional slowing of service, blocking access to certain content and charging some users more for faster service. “This is a solution that passed in my home state on a widely bipartisan basis, a bill that was signed by my Democratic governor, supported by Democrats in the congressional delegation and was praised and supported by former FCC Commissioner (Mignon) Clyburn,” McMorris Rodgers told the panel Thursday afternoon, referring to the leader of the federal agency under President Barack Obama. The bill would make those three practices, known as “blocking,” “throttling” and “paid prioritization” a violation of the federal communications act, which could open up providers to potential legal action from federal regulators, according to a draft of the bill provided by McMorris Rodgers’ office. What the bill wouldn’t do is change the classification of internet service made by the FCC in December 2017, which allows service providers to operate with fewer regulations than traditional telecommunications companies. Sen. Maria Cantwell of Washington has introduced legislation and signed on to an appellate brief calling for a return to the previous rules. Supporters of those previous rules, including members of the Spokane City Council in a resolution passed in 2017, say they ensure fair, unfettered access to the internet and called for their reinstatement, but mostly focused on the higher prices and slowed internet speeds that the McMorris Rodgers bill is intended to guard against. Critics have noted some large internet service providers – including the largest such company in the United States, Comcast – actually increased capital spending following the imposition of net neutrality rules, countering the argument that stricter regulations slowed network growth. 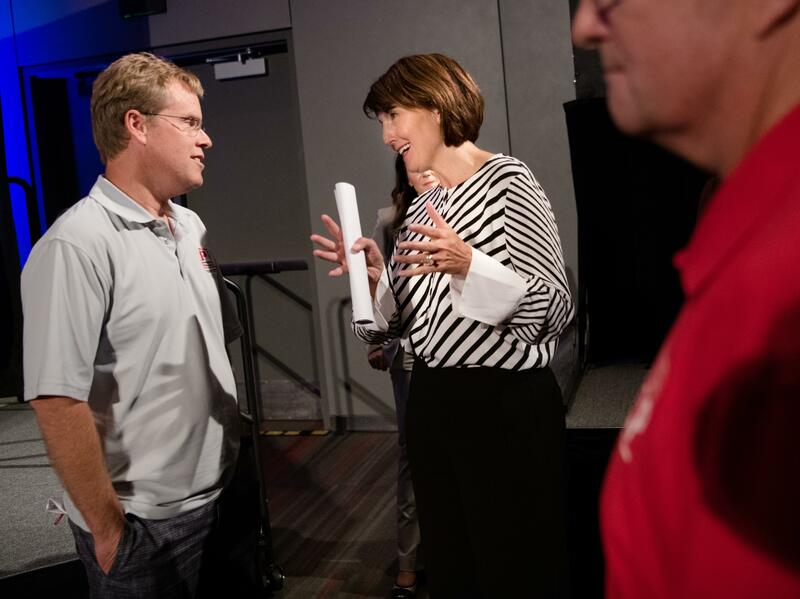 McMorris Rodgers introduced the bill in the House Committee on Energy and Commerce. She was named as a ranking member of one of that panel’s subcommittees after stepping away from Republican Party leadership in the new Congress. Published: Feb. 7, 2019, 6:09 p.m. Updated: Feb. 7, 2019, 7:42 p.m.